In a bid to strengthen the depleting anti-submarine capability of Indian Navy, Defence Acquisition Council (DAC), apex procurement body of the Ministry of Defence, on August 25, approved procurement of 24 multi-role helicopters (MRH). Reportedly, the deal is for Sikorsky's MH-60 Romeo for around $ 2 billion. "To enhance the capability of Navy at sea, approval has also been granted for procurement of Anti-Submarine capable, 24 in number Multi Role Helicopters, which are an integral part of the frontline warships like the Aircraft Carriers, destroyers, frigates and corvettes. Availability of MRH with the Navy would plug the existing capability gap," Ministry said in a statement. In last August, India sent out Request for Information (RFI) for 123 Naval MRH. Indian Navy is looking for the replacement of its legacy shipborne choppers for modern helicopters which can execute anti-submarine, anti-surface warfare, electronic intelligence, troop movement, special operations and commando roles. In last August, India sent out Request for Information (RFI) for 123 Naval MRH. India is currently operating Sea King in anti-submarine roles. The first RFI in this regard was sent out in 2011 which was later cancelled. Currently, India is using 23 Sea King for this role. Putting across its requirement for the MRH, Navy in its RFI said that it "intends to procure approximately 123 Naval Multi Role Helicopters (NMRH) along-with spare engines, three flight simulators, one maintenance simulator, and infrastructure including ToT, 10 year Performance Based Logistics, associated shore support, Engineering Support Package (ESP), training, documentation and spares package along with contemporary state of the art equipment, weapons and sensors under Strategic Partnership." 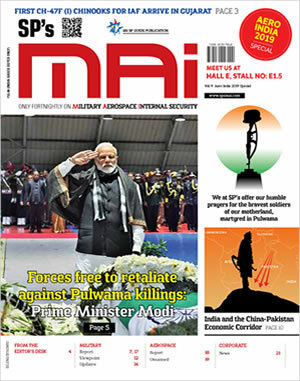 "The Indigenous Manufactured portion of the procurement is to be manufactured in India based on design to be provided by the foreign OEM to the selected Strategic Partner," it added. The Request for Proposal (RFP) is expected sometime this year. Navy will procure it in two variants viz NMRH (Multi Role) for Anti Submarine Warfare (ASW), Anti Surface Warfare (ASuW), Electronic Intelligence (ELINT), Search and Rescue, External Cargo Carrying (min 2500 kg) and Limited Casualty Evacuation; and NMRH (Special Ops) for Special Ops and Commando Role, Troop Carriage, Maritime Interdiction including Anti-Piracy Operations, Combat Search and Rescue (CSAR), External Cargo Carriage (min 2500 kg), Limited Casualty Evacuation (CASEVAC), Humanitarian Assistance and Disaster Relief (HADR) and Logistics and Communication duties. "The helicopter should be twin-engine; having wheeled landing gear, dual flying controls (two pilot seats) and blade fold capability with weight less than 12.5 Tons. The helicopter should be capable of operating from ships and ashore. Towards maritime surveillance and targeting capability, sensors and weapons to meet the envisaged role would be required to be integrated with the helicopters," the RFI said. 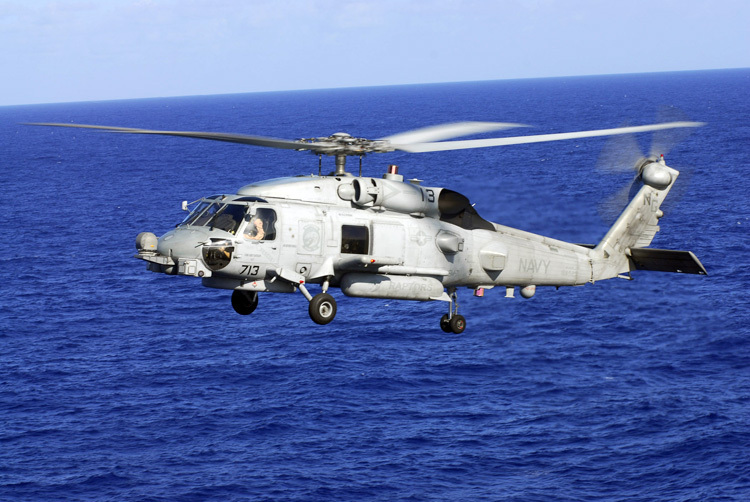 According to the company brochure, MH-60 R is "the most modern members of the SEAHAWK family, the MH-60R and MH-60S helicopters bring powerful new capabilities to the U.S. fleet with digital cockpits and mission-adaptive systems. The SEAHAWK helicopter family has more than three million flight hours with more than 600 SEAHAWK helicopters in service worldwide. Sikorsky helicopters, with more than 60 years of experience in performing maritime missions, has continuously improved survivability and safety." With over 50,000 operational flight hours achieved, MH 60 R is considered as the one of the most capable and mature AntiSubmarine Warfare (ASW) Anti-Surface Warfare (ASuW) multi-mission helicopter available in the world today. Over 100 of these helos are operational with US Navy. The net centric warfare capable chopper can also launch eight HELLFIRE® missiles from right and left extended pylons.